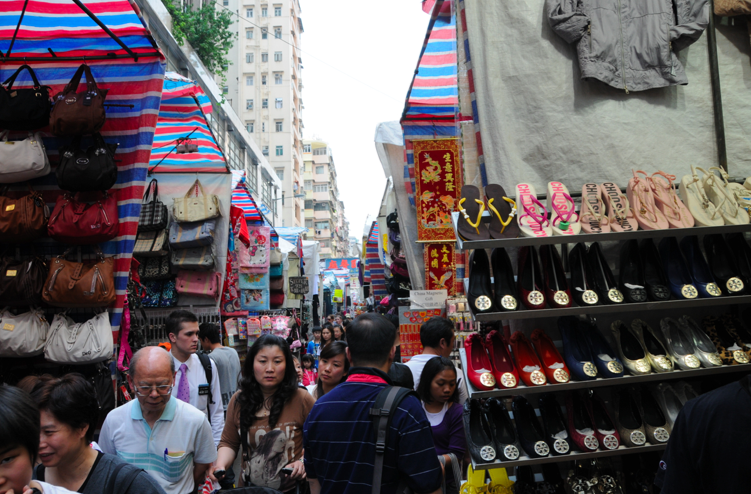 Located in the heart of Mong Kok District, the section of Tung Choi Street between Argyle Street and Dundas Street is known by the locals as “Ladies Market” or “Women’s Street”. 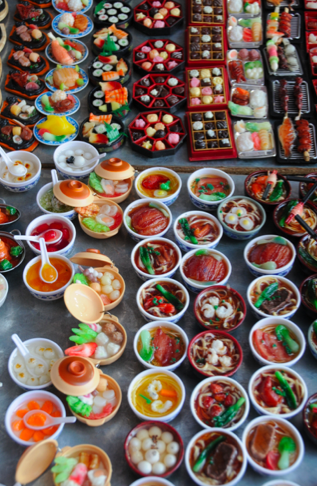 Something of a misnomer, “Ladies Market” was so called to distinguish it from “Mens Street” which is now Temple Street Night Market. 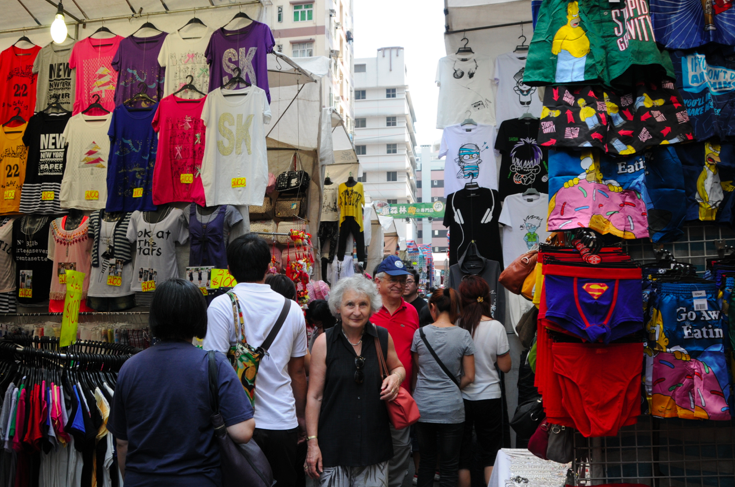 The market spans three streets Fa Yuen Street, Tung Choi Street and Sa Yeung Choi Street in Mong Kok and sells a huge range of ladies, mens and childrens clothes, sports goods, electrical goods, toys and souvenirs. Any “designer labels” are almost certainly fake but nevertheless there are bargains to be had and you can negotiate huge discounts from already low asking prices. 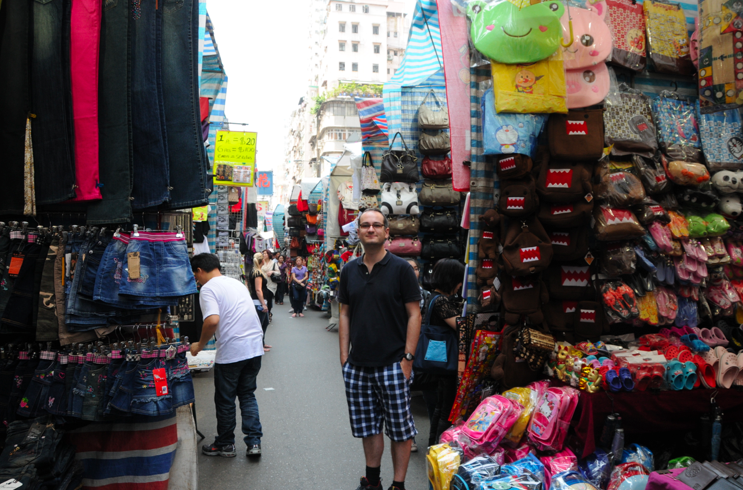 This is a large and very busy market and negotiating through the crowds here can be exhausting. 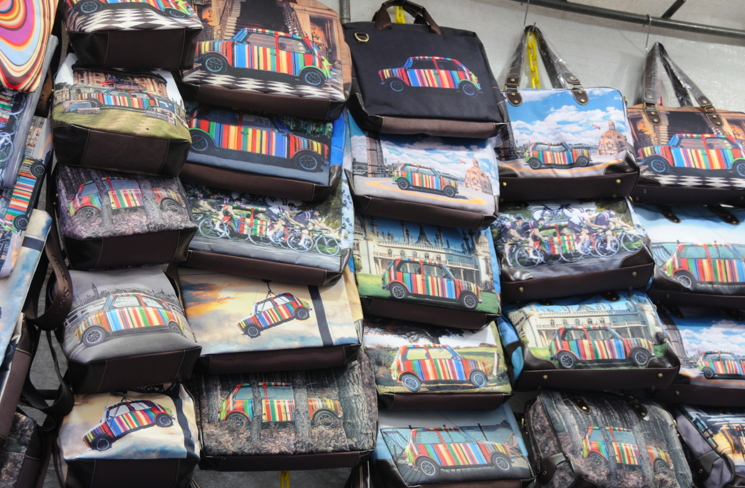 Opening hours are from noon to 11pm daily but the best time to visit is during the afternoon when more stalls are open. It’s easy to get there, walking distance from Mong Kok MTR station. Take any of exits B2, D2 or D3. My experience last week was that the asking prices they started with were 4 times of what they finally went along with!!! So you have to bargain hard!